It is reported that China Eastern Airlines cancelled flights between Hawaii and China. According to Yuan Y., spokesperson of China Eastern Airlines in Shanghai, all flights in October between Shanghai and Honolulu have been cancelled due to low demand. China Eastern Airlines is currently planning to relaunch the flight in November and will upgrade the flight from a charter to a regular scheduled flight. It would provide more seats for direct sales within their global network for regular sales. According to the Hawaii Tourism Authority 90 percent of all seats were being blocked by a tour operator. However, the tour operators were unable to fill all the seats they blocked, citing slow USA visa processing as the reason. When asked, China Eastern said it may open up their inventory to additional tour operators and include this flight within their regular global reservation system. Currently, the Honolulu-Shanghai flight was not listed in any of China Eastern Airlines’ flight plans, and the call center was unable to book this flight. Travel agents were also unable to find this flight on their regular reservation systems, such as Sabre. ETN talked to China Eastern Airlines at the Route Airline/Airport conference in Berlin, Germany, two weeks ago. The China Eastern Airlines route map did not include Honolulu, and airline officials were unaware of their Hawaii operation. There are no confirmed plans yet to resume flights in November, but according to Ms. Yuan Y., she expects a lucrative future for this flight. The Hawaii Tourism Authority (HTA) confirmed the cancellation of flights dated October 14, 18, 21, and 25 and told eTN that passengers already in Hawaii have been rebooked to return on different carriers. This is a blow to the many years of effort and expectation HTA had on this airlink. The Star Advertiser, Honolulu’s daily newspaper, stated in an August article that the HTA estimates Chinese visitors’ average spending per day is US$368, bringing the state up to US$60 million in annual visitor spending and stimulating job growth. "The new route is an exciting opportunity, as it will be the first regularly scheduled flight between China and Hawaii," HTA said in August. The Hawaii-based private Hawaii Tourism Association (HiTA) President Juergen Thomas Steinmetz warned early on about relying on this flight and criticized the resources used to lobby for it. 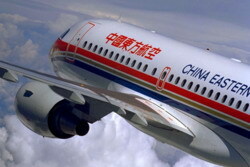 Steinmetz said: “China Eastern Airlines is known for poor service and low reliability. Banking on this airline to save the lucrative Chinese business is a high risk. We saw what happened with Hainan Airlines, which played everyone, including former Governor Lingle and HTA President Mike McCartney for years."